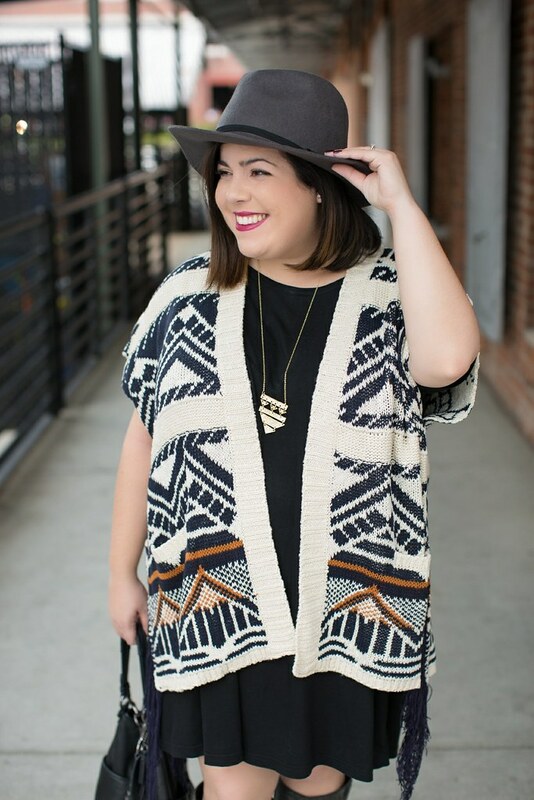 I love oversized cardigans like this one, especially during this time of year! 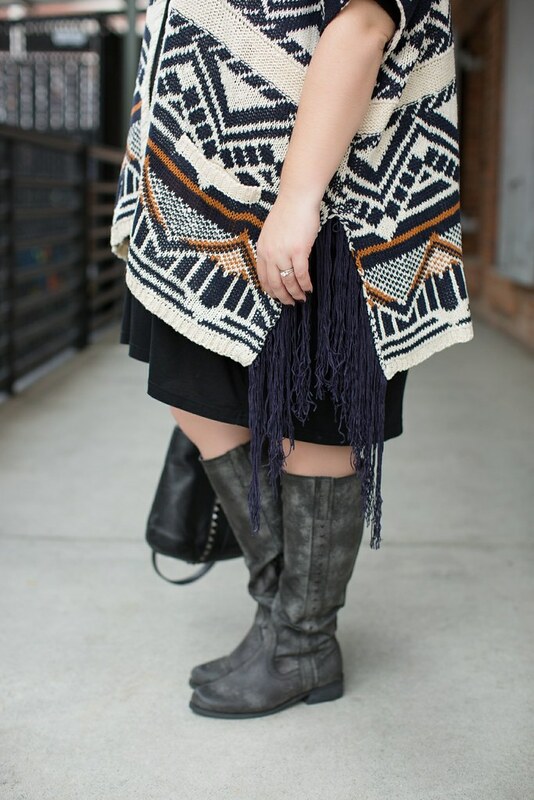 This one is so warm and cozy while still looking put together, and I really love the print and the fun fringe detail. The weather in North Carolina hasn’t been super cold yet, so I can still get away with short sleeves on some days. Once the weather cools down a little more it’s perfect with a long sleeve tee and a pair of jeans. 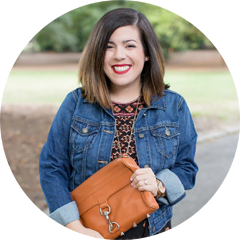 This gorgeous cardigan is from The Flourish Market and you can get free shipping with the code HEADTOTOECHIC which helps with holiday shopping! what a fun piece, love the fringe. Ooo! That print and hat are amazing!! Love the print and that fabulous burst of fringe at the seams – what a fun piece to enjoy while you are still having mild temps. I loved that you paired this with tougher boots. It's adorable! Adorable cardigan! Love the fringe. Such a cute look! 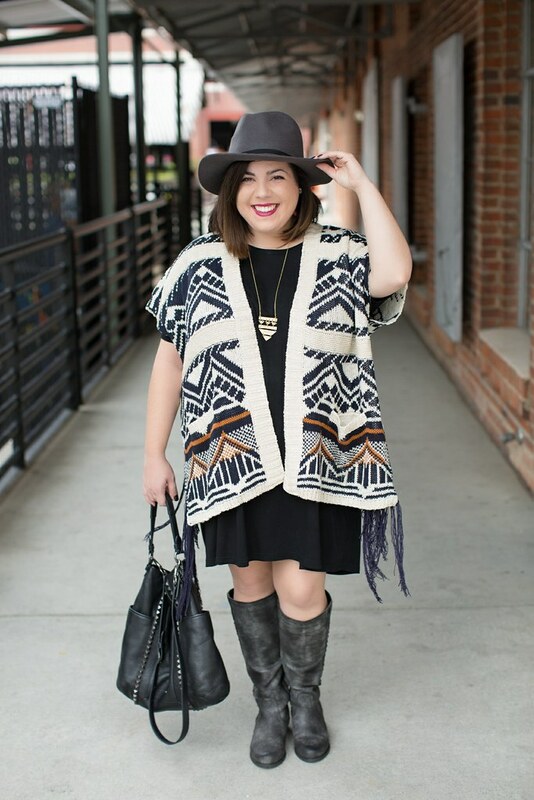 Dying over this fringe cardigan! The print is so cute and I need those boots! 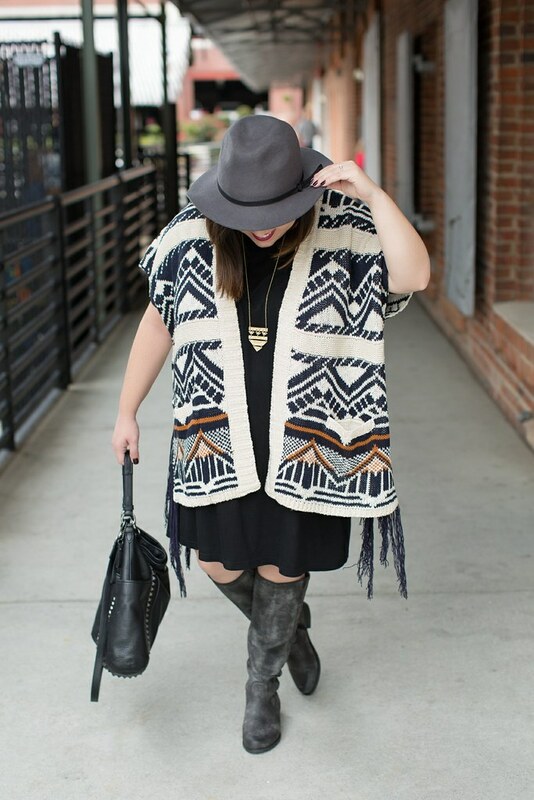 Love the print and fringe on the cardigan!